When a landslip destroyed the Lifengyuan Hydropower Station in Hubei province's Zigui county in early September, it was the first time the Three Gorges region had seen one of its electricity-generating dams wiped out. But the collapse forms part of a growing nationwide trend as dam reservoirs and construction destabilise the terrain around China’s hydropower stations. “The destruction of a hydropower plant in the Three Gorges region was to be expected,” geologist and anti-dam campaigner Yang Yong told chinadialogue. The Three Gorges Dam has created a giant 600-kilometre reservoir, the water level and expanse of which change throughout the year, and this has two worrying consequences, said Yang. First, the banks of the reservoir are subjected to frequent changes, increasing the chances of landslides. Second, the huge lake influences the local climate, making extreme weather events — particularly cloudbursts and heavy rain — more likely. Add in disturbances from construction for relocation of residents (1.13 million were moved for the Three Gorges dam project), road-building and quarrying of stone and earth for hydropower projects and, he believes, all the conditions for geological disaster exist. The Three Gorges region has already become disaster-prone, according to Fan Xiao, chief engineer to the Regional Geological Survey Team of Sichuan province's Geology and Mineral Bureau. He told chinadialogue that over 5,000 danger points — collapses, landslides, dangerous cliffs and banks — have been identified. “The reason this incident got so much attention was because it was the first in which a hydropower plant in the Three Gorges has been destroyed,” Fan said. Fan has previously written that when the Three Gorges reservoir was first filled to a depth of 175 metres in September 2008 during the trial period, a spate of disasters began. Until July 2011, there were 272 disasters or near misses in the Chongqing area alone. Of these, 243 occurred as the reservoir was filled between 2008 and 2009, and 167 (68%) were sudden geological disasters. 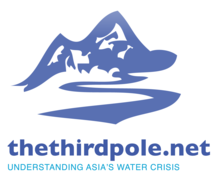 As a result, the Yangtze River Commission restricted water level increases to no more than half a metre a day; in the following two years only 16 and 13 incidents were recorded. But experts warn that since 2010 the water level has been kept at 175 metres for long periods, which may may result in more problems over time. The Three Gorges Dam is the world’s largest hydropower scheme, and took more than 12 years to build, opening in May 2006. Its reservoir stretches from Chongqing in Sichuan to Hubei province. Both Yang and Fan told chinadialogue there is no way to count the number of hydropower schemes in the Three Gorges area. Numerous tributaries flow into the reservoir, many of them with their own hydropower schemes, and no one knows how many. Those built before the Three Gorges Dam may have seen their local geological environment become more perilous. This means new risk assessments should be carried out so hazards can be dealt with and prepared for, said Yang. China has so many hydropower stations because any level of government – central, provincial, county or even village – can approve a project, as Fan points out. China’s rivers are divided up across different local governments, and the upper Yangtze's hydropower resources are already fully exploited. In 2009, a State Electricity Regulatory Commission document indicated that China had huge potential for small hydropower schemes of 50 megawatts or less, indentifying a total of 128 gigawatts of developable generating capacity distributed across 1,700 counties. Currently, China has over 45,000 small hydropower plants nationwide generating over 51 gigawatts, with another 20 gigawatts of capacity under construction. As many hydropower plants have been damaged, Yong and Fan were not surprised by the destruction of Lifengyuan; they are aware this is an occasional occurrence, and even large schemes are at risk. Fan told chinadialogue that landslides and bank collapses caused by a magnitude 6.5 earthquake in Ludian this August blocked the Jinsha River (as the Yangtze’s upper reaches are called) and created a barrier lake. The Hongshiyan hydropower station was buried and inundated, resulting in the almost complete loss of 800 million yuan of investment. Excavation and blasting during construction of the dams, tunnels and buildings for hydropower stations reduces local geological stability, making these locations vulnerable in the event of an earthquake, he explained, adding that this occurred prior to Sichuan’s 2008 Wenchuan earthquake in which 69,000 people died and nearly 20,000 went missing. Fan said the situation at Hongshiyan was no different. For this reason, construction of hydropower stations and any major project in the earthquake and landslide-prone west of China should be approached with extreme caution, with independent and comprehensive risk assessments carried out, he said. Wang Yongchen, founder of Chinese environmental group Green Earth Volunteers, recently revealed that the sluice gates at Ludila hydropower station, on the Jinsha, were washed away before the plant was even generating power. Nobody has taken responsibility for the 600 million yuan loss. Yang, who heads Hengduan Mountain Research Institute NGO which focuses on the Jinsha’s dams, told chinadialogue that filling of the Ludila reservoir had started last year. The loss of the sluice gates was reported in the media, but no action appears to have been taken. 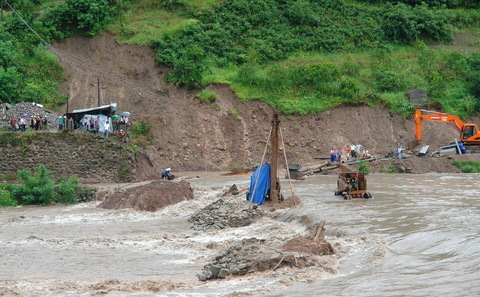 A number of hydropower stations were destroyed after a mudslide in Sichuan’s Ganzi prefecture in 2005. The West China City News said in its report at the time that the mudslide damaged six hydropower stations at Hailuogou, four of which belonged to the Hailuogo Scenic Area Power Company. Three stations providing power to the scenic area were completely destroyed and two more effectively ruined. According to Xiao, the plant cost six million yuan when he took it over and another three million was spent on efficiency improvements. Installed capacity was originally 800 kilowatts, generating six million kilowatt hours a year. Sold to the grid at 0.3 yuan per kilowatt hour, the electricity reaped profits of about 1 million yuan a year; things were going well enough that another 200 kilowatts of generating capacity was installed.